More often than not there is one dull patch along the wooden floor; the landing zone. This is where the heaviest amount of foot traffic takes place causing the shine of the wooden floor to disperse. These areas usually need deeper cleans. Use a product like Weiman Hardwood Floor Cleaner or Murphy’s Oil to start. These products are specifically formulated for wood. Lightly spritz a 3’-by-3’ area with the cleaner. Then go over it with a damp microfiber cloth or mop; let dry. Rinse the cloth or mop often, and repeat the process until the floor is clean. Rubber soles and heals can wreak havoc on wood floors. Fortunately, scuff marks usually sit on top of a floor’s finish, making them relatively easy to remove. If the mark is light, simply rub it with a sock, or a clean tennis ball. For more stubborn marks, apply baking soda to a damp cloth and gently rub the scuff until it disappears. Finally wipe it down with a clean, damp cloth, and buff it dry. To safely remove tacky messes like tar and gum, place a few ice cubes in a plastic bag and hold this on the clump to harden it. Next, grab a credit card, or thin plastic spatula, and gently scrape the targeted area. For dried paint splatters, moisten a cloth with a thin amount of rubbing alcohol, place it on the stain for a few seconds, and use your scraping mechanism to dislodge the blob. Follow this up by rubbing the area with the baking soda from the second tip. Finally, rinse the area and buff dry once again. 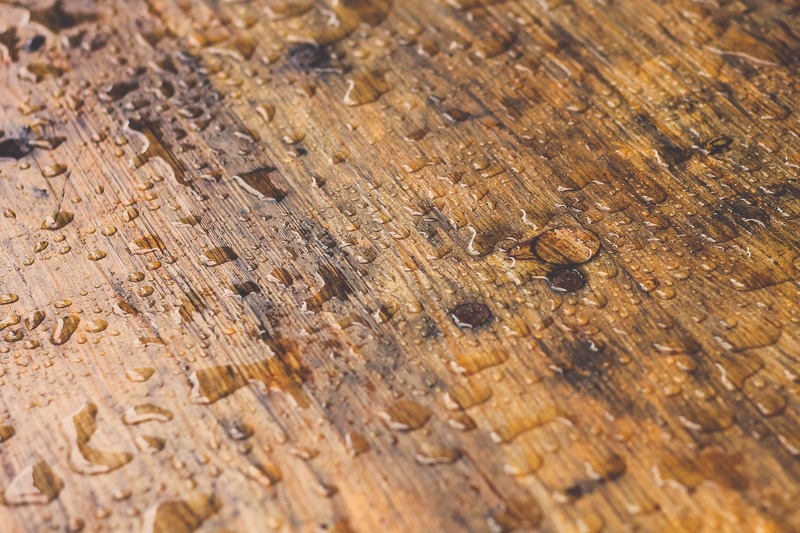 Follow these quick and easy tips when cleaning your wood floors and Vuola! Alas the wooden gleam you have been desiring will re-appear.